What is a Pre-Approval Letter? You may have heard this term before but don’t understand what it is or why you need one. A lender will first check a potential buyer’s credit history and verify their income to determine if they qualify for a mortgage or not. If they do qualify, the lender will then provide them with a letter stating the maximum loan amount offered as well as the type of loan that they qualify for. This is a Pre-Approval Letter and here is a list of reasons why you need one. You know if you are able to purchase a home. After you speak with a potential lender, they will let you know if you are financially able to purchase a home and obtain a mortgage. You will find out what type of loan you qualify for and the maximum purchase price that you will be able to finance. 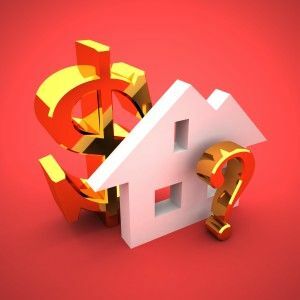 You will also be told how much money you will need to have saved for a down payment and closing costs, as well as what your estimated monthly payment will be. However, if you do not qualify for a loan, your lender will inform you of the necessary steps to take or other options for purchasing a home. You won’t waste time looking at houses out of your price range. Once you have a pre-approval letter, now you know what price range you can afford. The last thing you want to do is waste your time by looking at homes that you won’t be able to afford. Most Realtor’s require that you have a pre-approval letter before they start showing you homes for this reason. You can place an offer on a home. When placing an offer on a home, it is a requirement that all offers be accompanied by a pre-approval letter. It verifies to the seller that you are able to purchase their property and shows that you are a serious buyer. It is important to remember that you can shop around and find the lender that you are most comfortable with and who can put you in the best mortgage scenario that works for you. Most times your Realtor can even refer you to lenders that they frequently work with and have good relationships with. And once you receive a pre-approval, you are not required to use that lender.